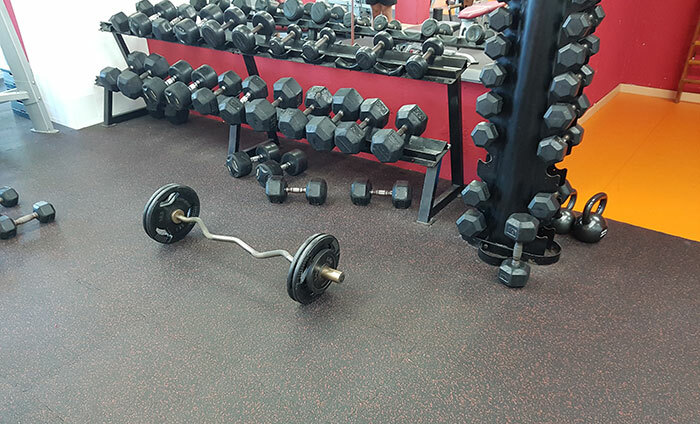 They wanted to set up a new vinyl flooring and thus asked us for a solution. We advised them to install a humidity barrier such as Supralay under the flooring. 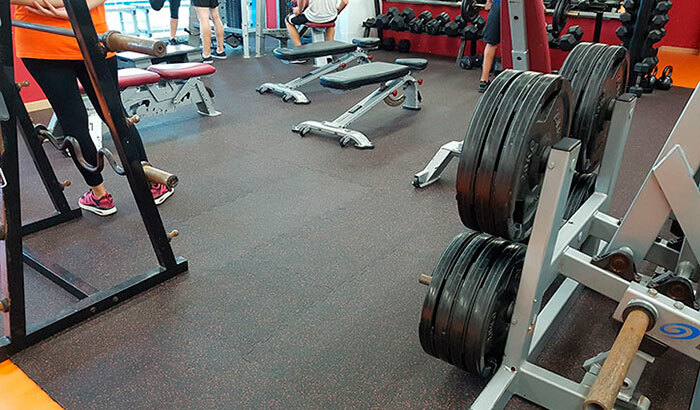 This vinyl flooring has a rice grains texture enabling the evaporation of humidity thanks to a continuous air flow. 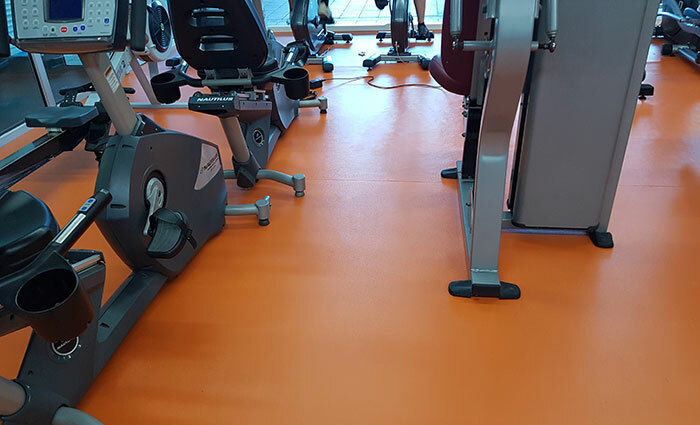 The Supralay rolls are produced in 1.45×25 meters and are available in two different thicknesses. 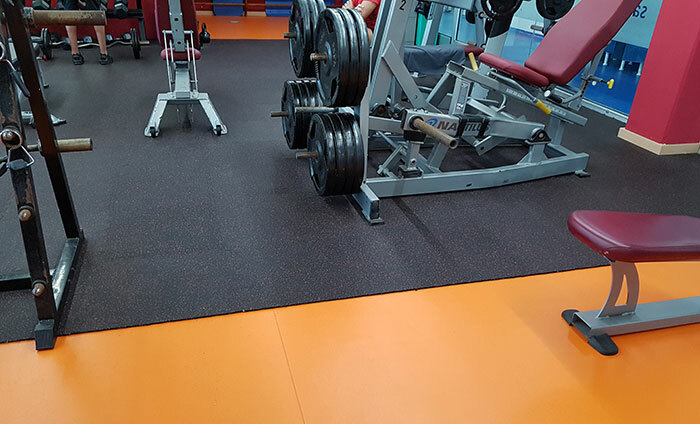 The flooring is set up with the rice grains downward so that there is no obstruction to air flow. Then, we glue the flooring on top of it. 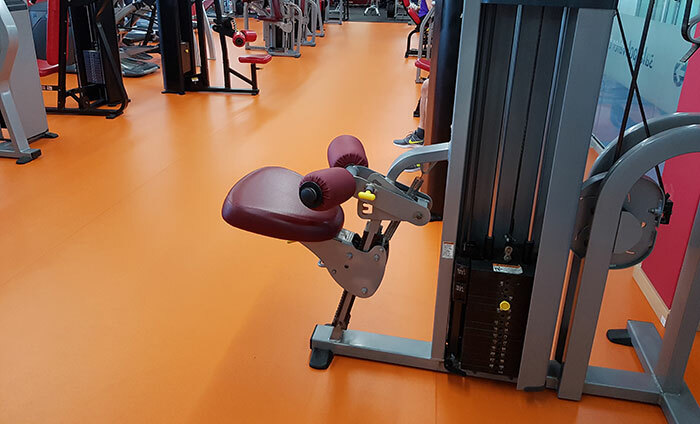 We suggested them to set up the Sportex Fit, a vinyl flooring of 2mm of thickness specialized for gym centers. 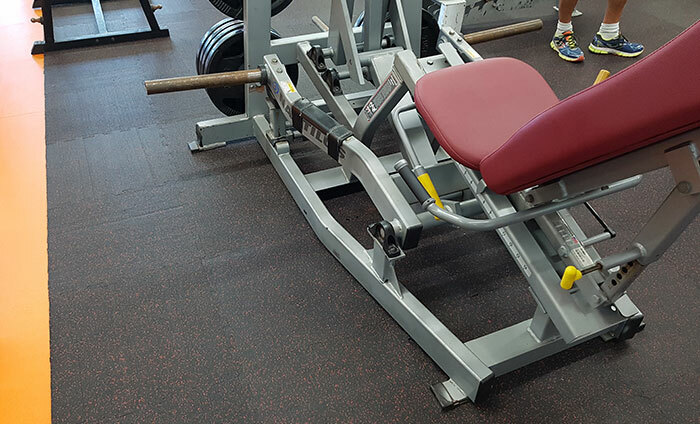 Sportex floorings are available in several thicknesses, plain colors and wood finishes. 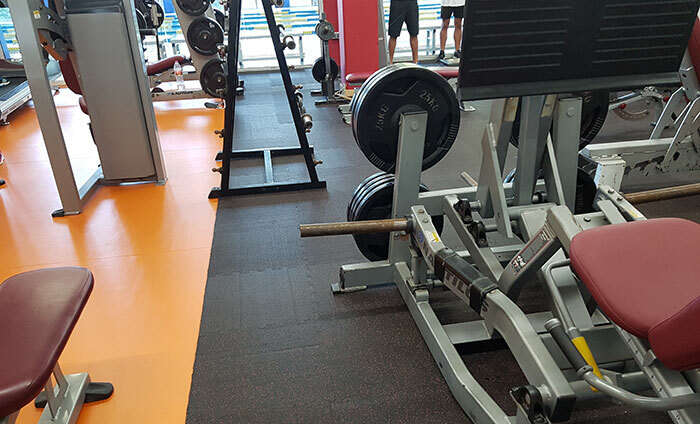 We set up the Energy rubber sports flooring with a thickness of 8 milimeters in the weight room. 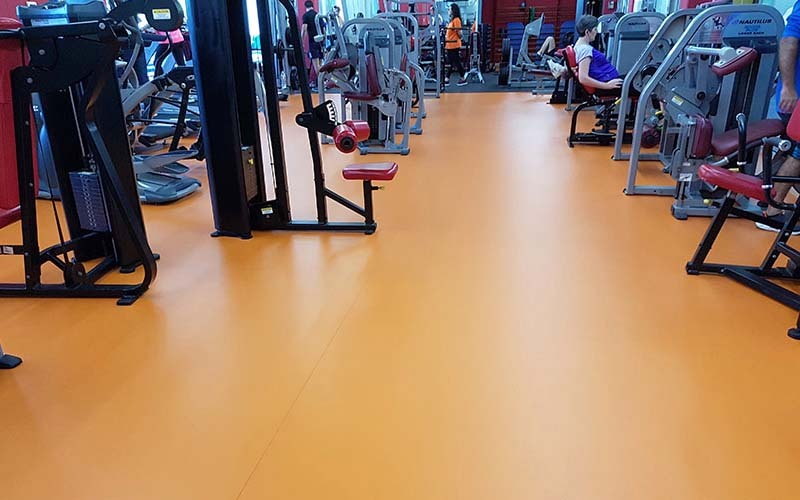 Because the Energy flooring resists to all kind of impacts (thanks to its thickness), it is a floor especially advised for the bodybuilding and weight rooms. Also, the interlocking sistem of the tiles enables an easy, fast and cheap installation. 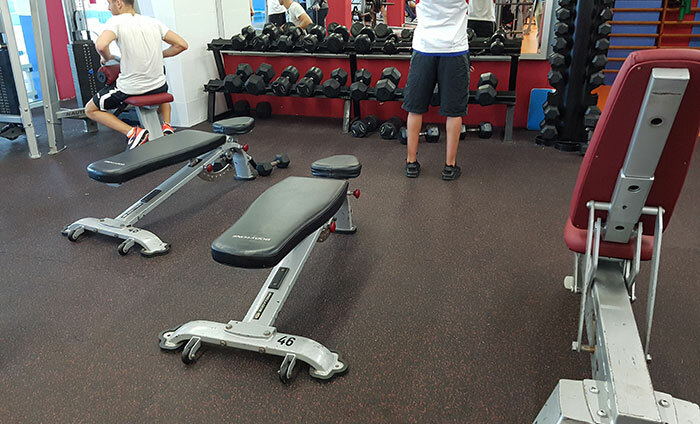 The Energy flooring is available in black with colored dots (grey, red or blue). In this project, they chose the red dots.